West Ham and the Metropolitan Police are investigating allegations of racist abuse aimed at the Egypt international during the 1-1 draw with Liverpool on Monday. A video emerged on social media in which audible racist slurs appeared directed at Salah as he took a corner during the Premier League fixture. Pellegrini has full faith the authorities will identify those responsible and take appropriate action. 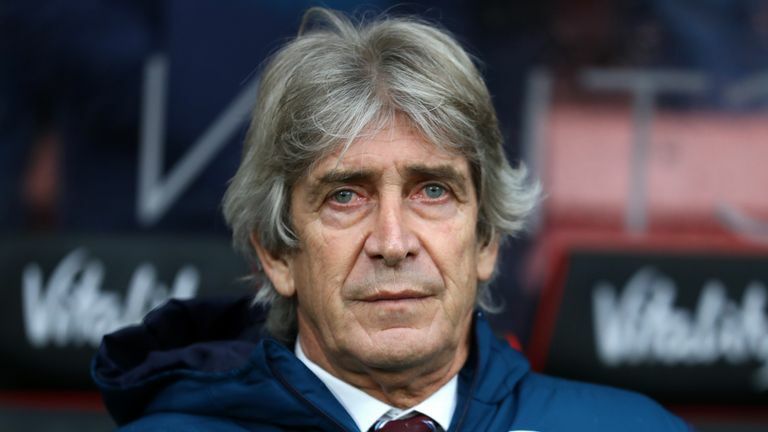 "The authorities will decide what is the best way to manage those things out of the game, out of the great spectacle we have in the Premier League," said Pellegrini. "I think that the organisation of this league and the respect in this league, for everyone, must continue to be a high standard. "We must not allow it to happen. The club knows how to work. They have said they cannot accept those type of things. "It was a very good football game with a full stadium, everyone was enjoying the game. Those stupid things, that must be punished as soon as you can." West Ham have told Sky Sports News they are taking immediate action to identify the individual or individuals involved in the alleged abuse of Salah. A club spokesman said: "At West Ham United, we have a zero tolerance policy to any form of violent or abusive behaviour.